FACT CHECK: Hillary Clinton Diagnosed with Vascular Dementia, Has One Year to Live? Hillary Clinton Diagnosed with Vascular Dementia, Has One Year to Live? 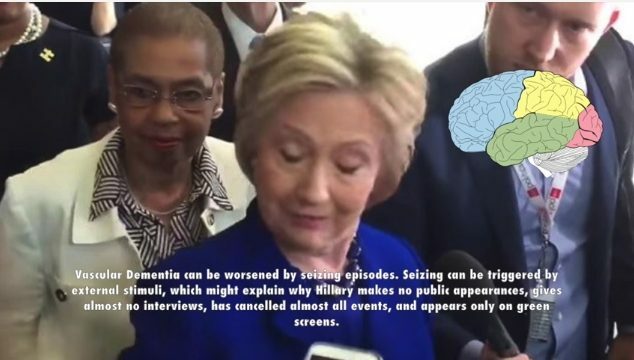 A viral video uses forged and misrepresented evidence in an attempt to prove that Hillary Clinton is suffering from subcortical vascular dementia and has only a year to live. Leaked medical records, combined with viral images and videos, prove that Hillary Clinton is suffering from subcortical vascular dementia and has only one year to live. On 7 September 2016, a video was uploaded to a YouTube channel that specializes in apocalyptic prophecies and conspiracy theories claiming that Democratic presidential candidate Hillary Clinton was diagnosed with a form of vascular dementia and only had one year to live. It was just one of umpteen Clinton health rumors to spring up during the 2016 presidential campaign, and might have languished in obscurity had not the candidate suffered a “medical episode” on 11 September that ended in her being whisked away without explanation from a memorial service. It was subsequently announced that Clinton “felt overheated,” which was followed later in the day by the revelation that she had been diagnosed with pneumonia. Within five days of its uploading, the “one year to live” video had racked up more than 300,000 views. I have recently been made aware of allegedly “leaked” medical documents regarding Secretary Clinton with my name on them. These documents are false, were not written by me and are not based on any medical facts. To reiterate what I said in my previous statement, Secretary Clinton is in excellent health and fit to serve as President of the United States. Bardack’s actual medical assessment of Clinton, completed after a physical examination in 2015, stated that the former secretary of state had no ongoing health conditions apart from hypothyroidism and seasonal allergies. Proceeding from the false premise that Clinton has vascular dementia, the video’s narrator calculates that Clinton has one year to live — which, were the diagnosis real, probably wouldn’t be too far off the mark, according to medical reference sites. But the diagnosis isn’t real, so the video makers attempt to shore up their case with photographs and videos they claim show Clinton exhibiting symptoms of dementia. 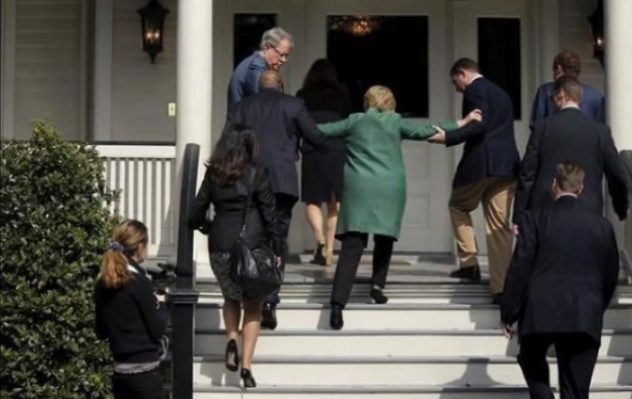 However, the original caption on the above Getty Images photograph, dated 24 February 2016, says that it captured Clinton when she simply slipped while going up a set of stairs. But the journalists surrounding her that day have said they saw nothing odd or disconcerting in Clinton’s behavior. And such is the case with all the purported “evidence” in this video: its creators cherry-picked clips that were unremarkable in their original context and recast them as proof of a “dementia” Clinton has never actually been diagnosed with. I am a professor at a medical school. I have taught at three institutions (currently in my third). 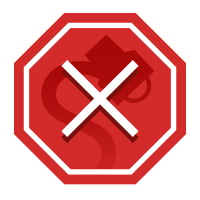 I will not provide my exact credentials because several people who have tried to speak out against Hillary Clinton have been killed (look up “Clinton Body Count”). Really? We’re supposed to believe a “professor” of medicine who won’t divulge their identity, provide their credentials, or, indeed, give us any reason at all to take their “medical analysis” seriously, because they’re afraid of a decades-old rumor that Hillary Clinton will have them killed? Unfortunately, we’ve found no clues as to whom this narrator might actually be, although we grew suspicious while perusing other videos on the same YouTube channel — videos with titles such as “POPE FRANCIS to PROCLAIM LUCIFER as God of One World” and “Strange Details Behind PRINCE Blood Sacrifice to Baal!! THEY KILLED HIM,” and realized they all appear to have the same narrator. Associated Press. 12 August 2016. Medical Daily. 17 August 2016. Washington Post. 8 August 2016.